Charles Myers obituary. Carnes Funeral Home. Charles Myers, born December 22, 1966 passed away on October 18, 2017. Charles was a great brother and very family-oriented. Charles loved sports, but football was his favorite. His favorite team was the Dallas Cowboys. In his spare time, he loved to read. Charles also loved to travel and always wanted to be a news reporter. Charles was employed with Office Depot and the Wall Street Journal. He received Jesus Christ at an early age. He was a loving brother and a great person to work with. 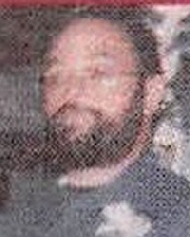 Charles was the son of Willie C. Myers and Georgia Thompson Myers, the brother of Tommy Myers, Minister Keith Myers, Sr. and Kevin Myers. The uncle of Keith Myers, Jr., Jeremi Myers and Allie Aguilar. He is survived by numerous relatives and friends. A celebration of life will be held Saturday, October 28, 2017 at 3:00 p.m. The service will be held at Bay Area Funeral Directors, 5410 FM 1765 (off Highway 3) Texas City, TX 77591, 409-933-4300. Reverend Andrew James will officiate the service. Memorials may be sent to Bay Area Funeral Directors.